How do you express a culmination of a challenging year in 3 days? How can you explain what 3 days really means to you as a company? How can 3 days make it all worthwhile? These are the questions pondered by both Karen and myself over the last couple of weeks with respect to The First International Health & Wellness Convention. For those of you who have stood by Quantum Life over the years, you can acknowledge the year 2005 has been a record year for Quantum Life, a record year for different other than sales reasons. During 2005 we broke the mould (so to speak) and decided to steer Quantum Life on a different direction to what we had been used to for so long. Alienating most of our staff, losing many dear friends and having to survive some VERY strenuous situations; 2005 was a year to remember! The official launch of The L.I.F.E. System around March 2005 had heads spinning to say the least. If I said there were many nights that we never slept I would not be lying. It is during these times you really learn what is important to you and who you can rely on. This is where Karen and I pulled together as a team and we braced ourselves for the changes ahead. You see for many years we had lost sight of the industry we were involved with. To many politics and people doing things for the wrong reasons. The introduction of The L.I.F.E. System not only helped us rekindle our personal values but it also lighted our fire again. It felt good to be representing a bioenergetic system that did what it says and is surrounded by individuals with integrity. With The L.I.F.E. System helping people is the first priority; commissions come second! Our existing sales people know what works and what doesn't and are willing to forgo higher commissions for a device that is built with integrity. So with the changes made by Quantum Life in 2005 it was just a real blessing to have the year end on such a high note! After staying our course for 2005 we had over 100 practitioners attend The First International Health & Wellness Convention. Of all the seminars we have hosted this was by far the best! Our format was slightly different mind you. Instead of having button pushing we decided to begin looking at core foundations needed and decided to offer presentations accordingly. Quantum Life would like to officially thank each and every one of you that took time out of your busy schedule to join us in Costa Rica. Our local posse The BioSpa Group, we would not have done it without you. The presenters well what can we say! All of you were stunning. Lectures went on until 9pm or 10pm for the diehards! WOULD YOU LIKE TO VIEW MORE PHOTOS? and view the images under the album. You can even post comments as well. Check out our blog on the same url link. Would you like your own idSharespace? Well logon and create your own profile for FREE. Upload your photos and more. Share your stories! Dr. Steve Monkiewcz and Dr. Hal Huggins (presenter) exchanging ideas. We have compiled a list of article from some of our attendees to provide you with a better perspective of the event. The experience in Costa Rica was extremely helpful in my own practice as a Biofeedback Practitioner. The speakers were informative and the energy was incredible. Being around so many like-minded people was truly awesome. I learned so many things about the L.I.F.E System that I will and already have implemented into my practice. I definitely plan to attend next year. Paul and I have just returned from beautiful, sunny Costa Rica and the most rewarding 1st annual LIFE conference sponsored by Quantum Life and BioSpa Groups. We met amazing educators and wonderful dedicated practitioners who came together in oneness and harmony from all around the world. What came to light for me during the conference, was the many different ways that users had been trained on the LIFE system. Some of the information was wonderful, however it became apparent that there was a need for standardization of training so that there is no confusion with the basics. One of the main areas was in language. We must, as practitioners, use the same key words to describe what we do - stress reduction and relaxation using biofeedback - the body's ability to feed back information to the practitioner via a computer. We must never diagnose or treat and we never cure illness. New users were also taught the sacredness of connecting with the client and how to stay connected throughout the session. These were all very important basics that not everyone had received. Therefore, it has been decided that a standard format is needed to ensure everyone receives the same basic and necessary education from certified instructors. The basic training will be two days and practitioners will receive a certificate at the completion of training as a Biofeedback Relaxation Management Technician . The College of International Holistic Studies will become the governing educational body in charge of keeping these records on file and can be contacted if there are any questions in regards to basic training. Advanced levels of training will also be available through certified advanced trainers and an understanding of basic Anatomy and Physiology will be strongly suggested. We see these streamlining developments as a very positive asset to biofeedback practitioners everywhere. It will add credibility to our profession, help practitioners to become more and more confident in themselves and the result will be happy clients on a self fulfilling healing journey. As we all know, like attracts like. If you would like further information on basic training or becoming a certified basic trainer please contact CIHS by email: info@cihs.ca or visit the website at www.cihs.ca We look forward to serving the biofeedback community and thank Quantum Life for the awesome job of organizing the conference. We look forward to next year and meeting many more of you as our biofeedback family grows. Thank you to all of you who cared and nutured Chloe while in Costa Rica. Chloe pictured below became the seminar mascott. She was a stray dog located near the hotel and the caring practitioners all took to her plight. Chloe became the tester for all the natural remedies for defleaing her. She was riddled with fleas but thanks to Thoger from Norway and his magic potions these were drastically reduced. Now did I forget to mention that every morning Karen was ordering Chloe a complete egg and bacon breakfast after the seminar and charging it to our room. She was eating better than most of us! CHLOE AND BOYFREIND IN LOVE! On Friday December 2nd, 2005 we were brought together for the 1st International Health & Wellness Convention facilitated by John Scholz of the BioSpa Group and by Karen and Ryan Williams of Quantum Life. The setting, The La Condesa, a hotel perched on a mountain in close proximity to San Jose was perfect for the creation of an atmosphere of co-operativeness and harmony. Saturday Dec. 3rd saw Dr. Linda Henderson open the speaking regarding the sacredness of the LIFE system. Her emphasis was on the hookup, emotions and a simple protocol pertaining to the system. Her belief in operation of the system rested on good basic training and further education. CIHS - a federally registered school in Canada will be providing 2 designations - one for the 2 day basic training and a second for 3 subsequent days of advanced training as a CBT. Attendees at the conference qualified for the CBT. Next, the developer of the LIFE system, Mr. Chris Keser and his amazing technical director Mr. Mike Slivinski conducted a 2 hour question and answer presentation regarding the LIFE system that gave us all a better understanding of the technical and suscinct knowledge that is harboured in the LIFE system. Chris has mastered a very simplistic approach to explaining the LIFE system. Mike reinforced the technical aspects of their hours of dedication to the LIFE system. Third came a speaker who was indeed a pioneer in biofeedback and bioresonance, Mr. Gabor Lednyiczky. Gabor's presentation was extremely logical on sometimes extremely difficult materials. One sensed that the BioHarmonex system flows somewhat like our LIFE system. Dr. Sherry Greenburg was our last speaker for the day. Her presentation on classical homeopathy was supported by many examples in sports and injury remedies. Homeopathy was shown to be a therapy that the LIFE system is very capable of handling. Day 2 December 4th, was opened by Dr. Sherry Greenberg showing how the LIFE system was capable of clearing entities. Her use of the system was a great help to all. Next on the podium came Dr. Jerry Hoover. His presentation on nutrition was a strong basic and practical resource for all LIFE users. Remedies centered around garlic, cabbage, Aloe Vera and black strap molasses were well illustrated. His opinion was that nutrition based on higher fibre, less fat and plenty of raw vegetables would help the majority of people guard themselves against potential dis-eases. Next Dr. Hal Huggins gave a very poignant and humerous lecture on the negative aspects of mercury amalgams. It is noted by Dr. Huggins research, that when fillings are removed sequentially, that is, with the negative fillings replaced first, a potassium efflux occurs at the synapse calling for an increase in parasympathetic hormones (parathyroid, insulin, posterior pituitary and estrogen). The result is to stimulate healing. LIFE users now have a much better understanding of the imbalances caused by mercury amalgams. Dr. Earle Sweet finished the day with a presentation on herbal medicine. Dr. Sweet brought a herbal lab to illustrate his astounding ability to produce herbal tinctures of high efficacy. Cold Percolation produced a product that is much stronger and more refined in a period of 8 hours. Maceration is a process that takes 14-36 days to produce a much less noble product. Dr. Linda Henderson then demonstrated how the tinctures and tonics could be imported into and exported from the LIFE system. She is currently testing her clients for their herbal requirements using the LIFE system. Day 3, December 5th was opened by the founder of Quantum Medicine in Norway - Thomas Aksnes. 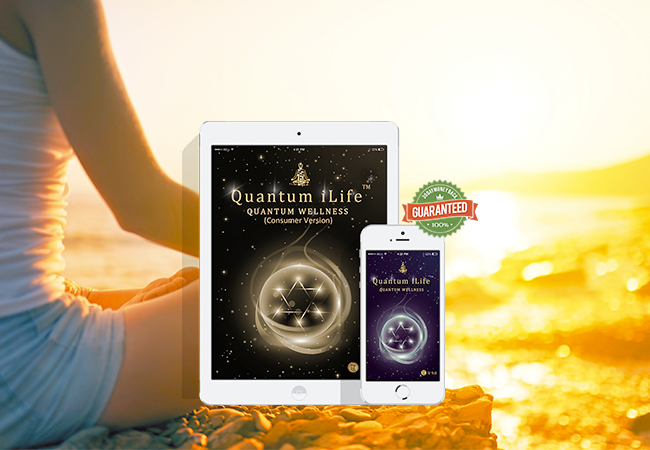 His lecture engaged the audience with his accomplishments as overseer of 62 clinics using quantum medicine and many personal successes using the LIFE system. His belief is that we contract dis-eases due to the sum of 2 factors: 1. the heritable disposition 2. the environmental strain we are exposed to. He ended with very good advice for all users of the LIFE system. Streeter gave a beautifully illustrated visual presentation using energy field imaging to show dis-ease. He concluded that there were universal concurrence on Human Energy Fields. He had beautiful graphic slides showing different systems, Kirlian photography by Korotkov, Aurameter by Valerie Hunt, Squid by John Zimmerman. Many references were made pictorially to Chakras, meridians, and elemental laws. Through electroimaging we all had a better understanding of the imbalances of energy that we often pick up on the LIFE system. Dr. Paul Henderson followed up with an energetic presentation on acupuncture which brought to life the first panel on the LIFE system. Meridians and acupoints were highlighted so that everyone could see how the LIFE system could also be used to stimulate key points using the quadrant straps clips. Users now understand how the LIFE system can be used to balance meridian energy and stimulate specific meridian points without the need for needles. Randy McCreary finished the afternoon with a very animated 2 session presentation on the role of the mind in the development and overcoming of dis-ease conditions. Randy covered many areas and did a great deal of role playing that oft times is very necessary in our LIFE systems. The speakers were very diverse in their presentations. In many cases the lectures were related to the LIFE system. The conference was a hugh success in the outstanding co-operative and sharing ways that the speakers communicated with all the participants. The conference had a great effect on all levels of LIFE system users. We all look forward to doing this again next year!! These are just a few of the words I can use to speak about something that words are way too small for. Costa Rica is such a lovely, warm, and welcoming country to come to. The local people have a sense of open genuineness which is so different from the United States where everyone seems too busy to really connect and answer questions. This was the setting for the First Annual L.I.F.E System convention Dec. 2 thru 6 at the La Condessa Resort near Heredia, Costa Rica. The resort was lovely with beautiful landscaping, well prepared food, and an old world colonial charm that lent the feeling of ease to everything. The staff was welcoming, mostly English speaking, and did their utmost to see that our requests were well met. All of this created an atmosphere which was a perfect setting to concentrate on what we were all there for..........to connect with the LIFE family and delve deeply into areas of learning that the presenters shared as part of their lives' work. The phenomenal amount of brilliance and incredibly knowledgeable group of presenters gave me a sense of great humility and gratitude to be among and a part of such an event. The event was long enough over the 3 days to have multiple opportunities to chat with people, make new friends, and really connect in many ways with this amazing group of dedicated people who use the LIFE system all over the world. Learning about the efforts and projects that are being developed in many high profile situations is hugely confirming that the world is changing in a way that will permit life to continue to flourish despite the appearance to the contrary. Conversations over papaya and pineapple with excellent coffee for breakfast were continued at break time out on the lawn overlooking the San Jose valley and the spectacular vista of mountains and big billowing clouds against that impossibly blue sky. Running into someone on the stairs could prompt a long discussion of their personal project that involves multiple centers around the planet and how they are using the LIFE system in all of them for many purposes. The entire event was overlayed with a tangible sense of love and gratitude about which I heard so many comments, that it couldn't have been my imagination. I intend to make every effort in the coming years to include this event in my life and would strongly recommend it to anyone who uses the L.I.F.E. System as a way to deepen your knowledge of the world of healing as well as opening up to the amazing things that people are doing on other parts of this exquisite planet! See you next year at the Annual Convention!!!! Four flights, two days and about eleven checkpoints was all it took to arrive, not quite so bright eyed and bushy tailed, in paradise. With Costa Rican land ahead, we bundled out of the plane and into the airport coming alive to the sweet soneros of the local guitarist. A breath of fresh coffee infused air and we were out, past the dude rolling the cigars, past the taco fare, even past the Burger King, into the mix of Ticos waving placards. We met a man, his name was Jose, and he was to be our chariot to the promised land. Part English manor and part Spanish hacienda, the romance of la Condesa nestled in the green hills of Heredia took us back in time. This was a Costa Rica far from the crazy beaches I'd imagined. Instead the peace and tranquillity of our surroundings, mingled with green country air, became the backdrop for our up and coming LIFE experience. So it was here, cradled amongst the lush Costa Rican environment, that we began to discover LIFE through the eyes of the presenters. The latest offering form the wizards of biofeedback, practitioners from around the globe converged upon this Costa Rican oasis to discover more about this user-friendly technology known as LIFE. From mechanical to cultural applications, we learned new tricks, gained deeper understanding and received the wealth of wisdom from our guides. From dawn (merely due to jet-lag) till past dusk we ate, breathed and drank in all aspects of LIFE, coupled with a few good local buffets. In the breaks we soaked up the sun and mountain air in La Condesa's vibrant gardens, refreshing us for the next exciting LIFE instalment. I wont go into the details of each and every presentation as everyone who attended was given a CD with all the notes, the rest being captured on video, but would rather convey a huge thanks to all the presenters who shared such amazing heart and energy with us. As Karen and Ryan said, they wanted the seminar to be about more than just the nuts and bolts of how to work the LIFE system. Being the first biofeedback device to have such a user-friendly and logical interface, the LIFE system didn't warrant such attention. Instead the global combination of presentations and speakers, without the need to focus on mundane navigation, inspired different aspects of our brains and ignited different areas of our interest, encouraging our growth as both practioners and participants of the whole life process. Big cheers to both of them for facilitating such an amazing event allowing us not only to learn, but to make new friends and revisit old ones along the way. All primed up on LIFE, we were ready to explore a bit of the country. After a bout of berry picking and swinging through the trees like monkeys we set off in search of wilder terrain. Hopping into a lean, green - not so good at taking the potholes - machine (I highly recommend forking out the extra few bucks for a ride with suspension) we hit the road ready for adventure. Our wild terrain consisted mainly of the pot holed highways winding up fog covered hills - loads of fun especially when you're driving on the wrong side of the road. Eventually the mist cleared and we came upon the volcanoes and hot springs of Arenal. We were not so lucky as to view mounds of lava spewing forth, however we were able to feel the volcano's magnitude as we soaked in the thermal waters of her hot springs at Baldie. We left one scorching pool to those who wanted to poach eggs for brekkie, submerging into the rest, which soothed and cajoled our weary muscles into floppy mounds of bliss. Ready for more we set off again south to the Atlantic coast. We had gallo pinto (beans and rice) followed by warm waves on the midnight sands of Jaco. We saw local fiestas with live salsa bands and beachside karaoke, (complete with Spanish "My Way" singalongs), in the seaside town of Puntarenyas. And the piece de resistance - The white sands and rainforests of Manuel Antonio, best when viewed over a sunset dinner in a classic aircraft, perched on the cliffside complete with chandeliers dangling from the canopy of its wings. Thanks again to Karen and Ryan from Quantum-Life and all the others involved in creating such a wonderful experience. The friendliness and warmth of the eco conscious Costa Ricans really made the trip special. As Valentina put it, when you say thank you in Costa Rica, they reply "Mucho gusto". In most places you would hear "de nada" (it's nothing), but in Costa Rica it's "their pleasure". It was our pleasure to experience their 'Pura Vida' and to get a taste of LIFE the Pura Vida way. Course Fee is $1,000.00 CAD. So, you're working with a client who has joint pain and sleep problems. Where are all the places you can go to work on these issues in the LIFE system? Are you sure you found them all? Or you have a client that comes in with a unique complication, like one I personally was working on in metaspace rather than in the harness "thankfully", who had a blocked and swollen salivary duct. It took me two hours to find therapies I could use, for example on the Digestive panel under Anatomical #16 and Dental panel under Dental Disorders #15, 24, 26, & 28. Have you ever wished you had a directory? Your wish is now a reality. This directory of the LIFE system covers every therapy on every page. Its format is simple and easy to use. After installing the Life Listing, open and then minimize it. Then when you're working on a client and you want to know where you can work on autism, maximize the program, check the alphabetical list and Voilla! You can find therapies for autism under Biofeedback/Gems Mental/Emotional panel #4; Brain Bio-Specific #24; and Nerves Bio-Specific #5. It's only taken you five seconds of the client's therapy time to find out what pages to go to. Now minimize the LIFE listing to the bottom of the screen till it's needed again! What a timesaver! And stress reducer too! Place your order and be one of the first to receive this simple and easy to use CD. It should be available by the end of January for only $150 by Gayla Erickson, Biofeedback Plus, 509-736-2300, gaylafe@aol.com. Thanks and successful hunting!